What is the proper Jewish thing to say when someone tells you she’s pregnant? 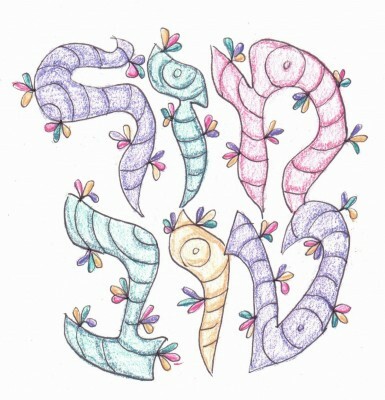 How do you wish someone a happy holiday in Hebrew? Below are some common Jewish phrases and expressions to answer these questions and more. Adapted from Judaism 101. Hebrew. Literally, Sabbath peace or peaceful Sabbath. This is an appropriate greeting at any time on Shabbat. Yiddish. Literally, good Sabbath. Like Shabbat shalom, this is a general, all-purpose Shabbat greeting. Gut Shabbes is more likely to be used in general conversation or when greeting people. Hebrew. Literally, good week. This greeting is used after Havdalah (the ceremony marking the conclusion of Shabbat), to wish someone a good week. Hebrew. Literally, joyous festival. This is an appropriate greeting for just about any holiday, but it’s especially appropriate for Sukkot, Shavu’ot and Pesach (Passover), which are the three Jewish festivals (the other holidays are holidays, not festivals). Yiddish. Literally, good holiday. This greeting can be used for any holiday. Hebrew. Literally, for a good year. A common greeting during Rosh Hashanah and Days of Awe. It is an abbreviation of L’shanah tovah tikatev v’taichatem (May you be inscribed and sealed for a good year). This is the proper way to wish someone well for Yom Kippur. Hebrew and Yiddish. Peace upon you. A traditional greeting. The second version (the Yiddish version) is more common, at least in America. It is related to the common Arabic greeting, salaam alaikum (not surprising, because Hebrew and Arabic are in the same family of languages.) The traditional response to the greeting is Aleikhem Shalom (and upon you, peace). Yiddish/Hebrew. Literally, good luck. This is the traditional way of expressing congratulations. “Mazel tov!” is the correct and traditional response upon hearing that a person has gotten engaged or married, has had a child, or has become a bar mitzvah. It can be used to congratulate someone for getting a new job, graduating from college, or any other happy event. Note that this term is not used in the way that the expression “good luck” is used in English; that is, it should not be used to wish someone luck in the future. Rather, it is an expression of pleasure at the good luck someone has already had. Hebrew. Literally, straight strength. Figuratively, may you have strength, or may your strength be increased. A way of congratulating someone for performing a mitzvah or other good deed. In essence, you are wishing this person the strength to continue doing this good thing, and you are also recognizing the effort that the person put into doing this good thing. It is most commonly used in synagogue, to congratulate someone after he or she has participated in some aspect of the service. Strictly speaking, this is a masculine form. The feminine form is yashar kochech. Yiddish/Hebrew. Literally, to life. The toast you offer before drinking wine or other alcoholic beverages, used the way you would use “Cheers!” in English.